****Update**** Now working! 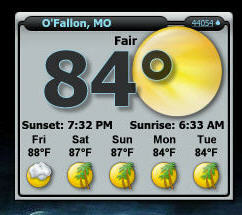 A nice Alternate Weather Widget to go with Mike Bryant's Awesome Tronnix Theme Link in zip.Enjoy!! There seems to be something wrong with the zip file. It won't open for me. I had to use extreme compression with winzip 9.0 in order to upload the file (due to size). If you have winrar try opening with that instead if you don't have winzip 9.0. Thank you!! !I got winzip 9.0 now and it works fantastic with unzipping the widget file!!! How to get the zip code ?